Panera Bread and Teashi plan to open campus locations, both of which will accept GWorld. 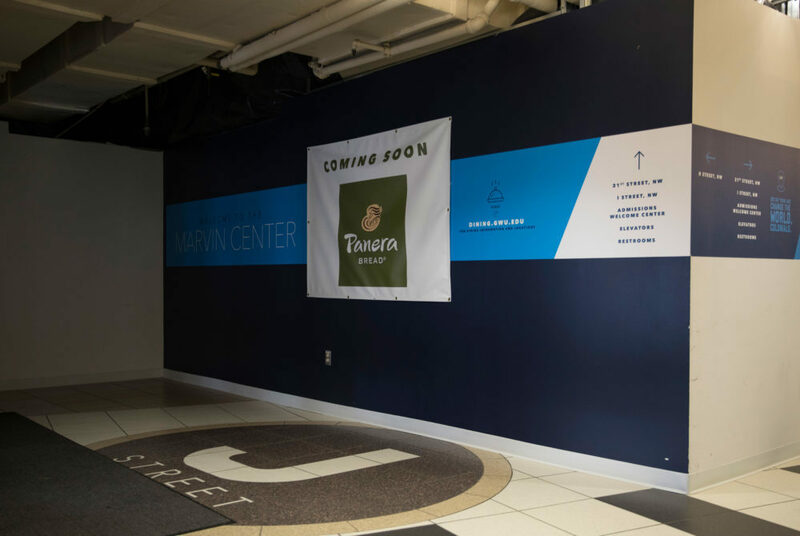 Panera Bread, which will be located where J Street used to be, will announce its opening date later this fall. After officials aimed to expand the University’s discounted meal program this summer, just one additional dining partner will offer special dining deals for students to start the academic year. Chop’t Salad on Pennsylvania Avenue will offer a 10 percent discount to GWorld users, but no additional dining partners have signed on to offer “meal deals,” discounted meal combinations for students, University spokesman Brett Zongker said. Zongker said last spring that the University planned to increase the number of meal deal participants before the fall, after officials added $200 to all dining packages this academic year in response to student concerns over dining affordability. Twenty-three vendors currently offer meal deals, and six dining partners offer discounts to students with a GWorld card, according to the GW Dining website. “Special ‘GWorld-only’ discounts and meal deals are a means of providing affordable meals for our students while at the same time better directing students to our dining partners,” Zongker said in an email. The announcement comes as the University’s “open” dining plan – in which students spend money at local vendors and grocery stores instead of a traditional dining hall – enters its second academic year in use. Two dining partners signed onto GWorld this summer – Jetties on Foxhall Road and Surfside, a taco shop in Dupont Circle. Panera Bread and Teashi also plan to open campus locations, both of which will accept GWorld. Panera Bread’s opening date will be announced later this fall and Teashi will open in the coming weeks, Zongker said. Lin Yuan, Teashi’s assistant manager, said the Asian-style restaurant plans to participate in the meal deal program and will also offer a fixed-price menu to make meals more accessible and affordable. GW Dining is also increasing their outreach efforts to students. They’re hosting an event during Welcome Week and revamping their social media pages, using Instagram for the first time this fall, Zongker said. “This allows the University to more robustly engage with and inform students as to the many aspects of our dining program and better solicit feedback, questions or concerns,” he said. More than 15 vendors will participate in the first annual Dining Kickoff Event Monday to hand out free samples and coupons to student attendees.